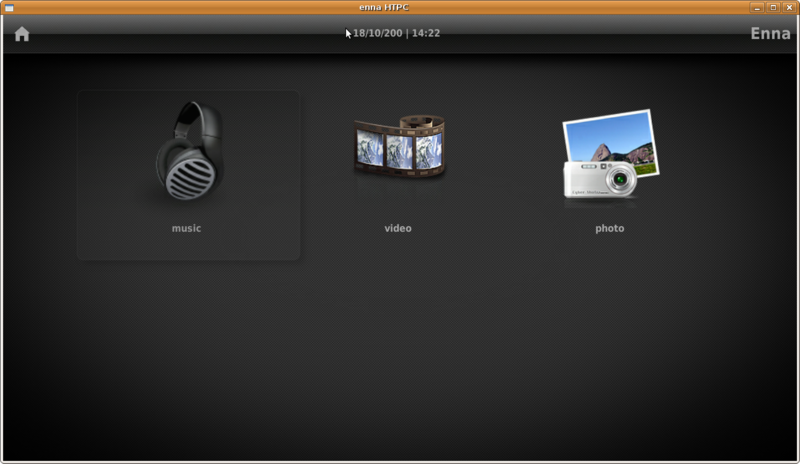 Let me introduce you a very cool usage of Enna (v0.4.0 from Ubuntu Packages). These photos have been taken at the home of a coworker of mine. 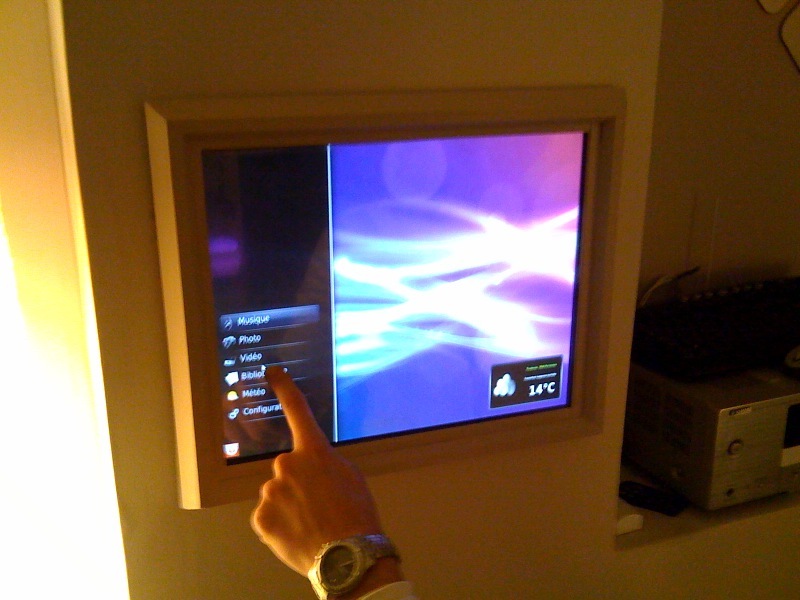 He have integrate a PC running GNU/Linux and a 17″ touchscreen in his wall. 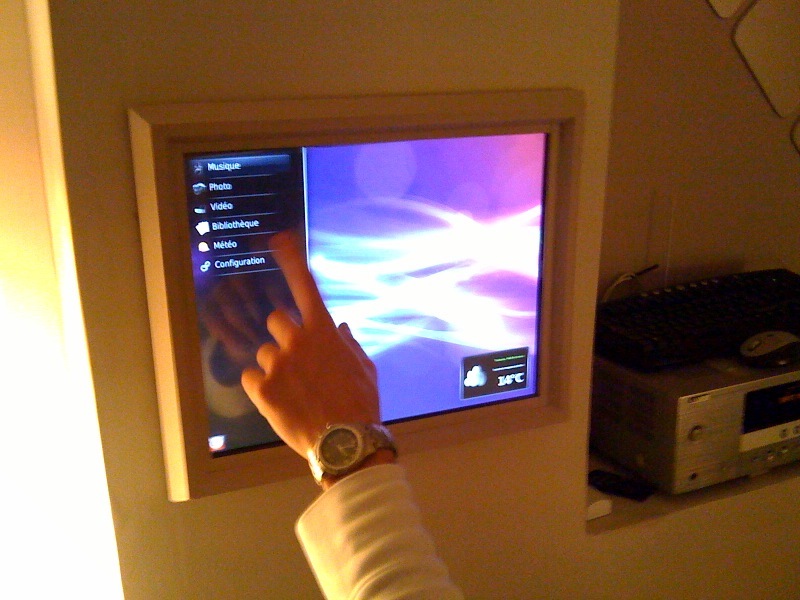 The mediacenter has two video outputs, one for the touchsreen and another for a video projector. This is so funny !!! good think of doing in every home. I’ve just one question for you, is possible to modify the Exit’s bottom of Enna to make the shut down of the OS directly from it, without close Enna first and then OS? Cool project 🙂 I like it very much. However, i got some problems and have no idea where to get help. Hope you can direct me to the right place. Mailing list or something. 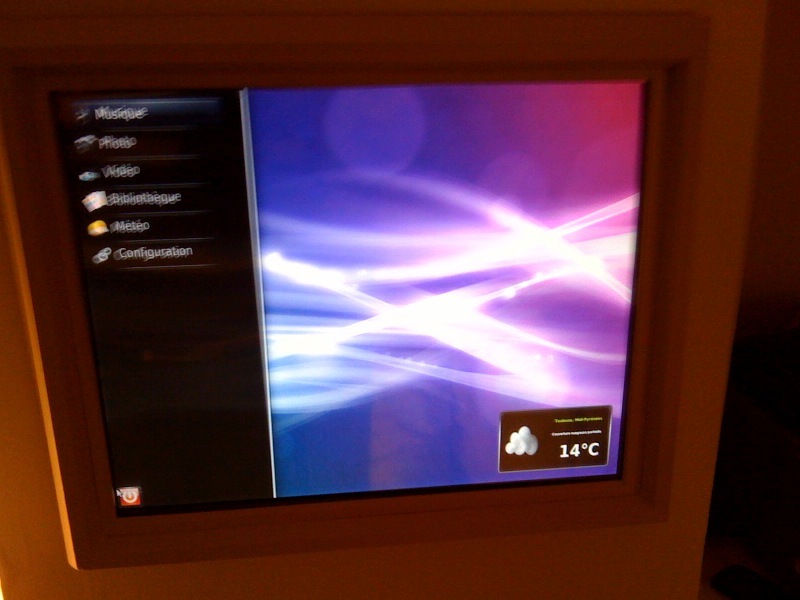 You can look here : http://enna.geexbox.org there is all infos about MailingList and how to contact us. I looked and, if i got it right, subscribe the users@ mailing list. I tried to post my problem on the list but not sure that it have been accepted.